Migrating to a direct Duo Security account is easy and takes just a couple of minutes. 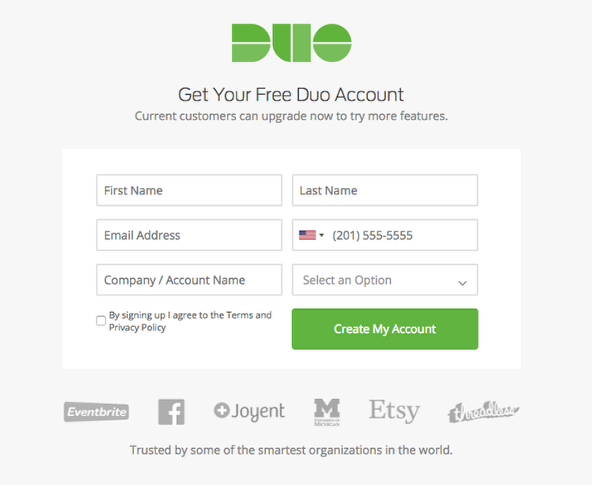 Visit https://signup.duo.com/ to create a Duo Security Account. 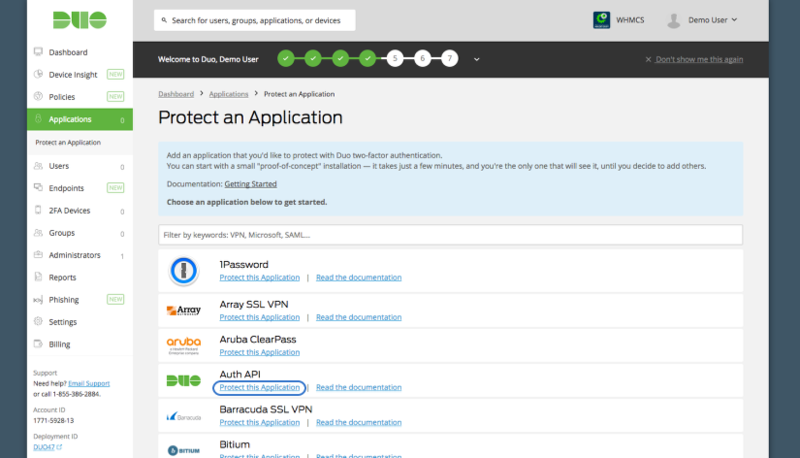 Upon logging in for the first time, you will be presented with the Protect an Application screen. For WHMCS, you need to use the Auth API application. Click Protect this Application (indicated below) to generate the API Credentials you'll need to configure your Duo Security account inside WHMCS. The following screen will be displayed providing you with the Integration Key, Secret and API Hostname which you'll need later. 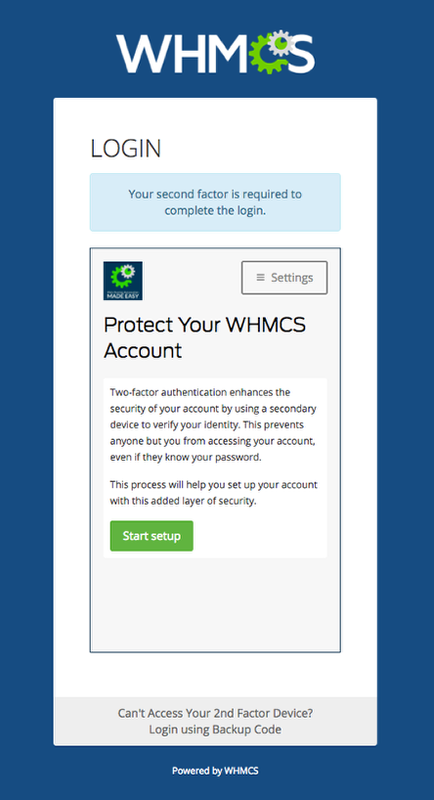 Next, login to your WHMCS installation. You will need to be running WHMCS 7.0 or later for this next step. If you had Duo Security active previously, upon logging into your WHMCS admin area for the first time after upgrading, no Duo Security authentication prompt will occur and you will be prompted with the following message. Click the Go to configuration link to jump straight to the Duo Security configuration page. 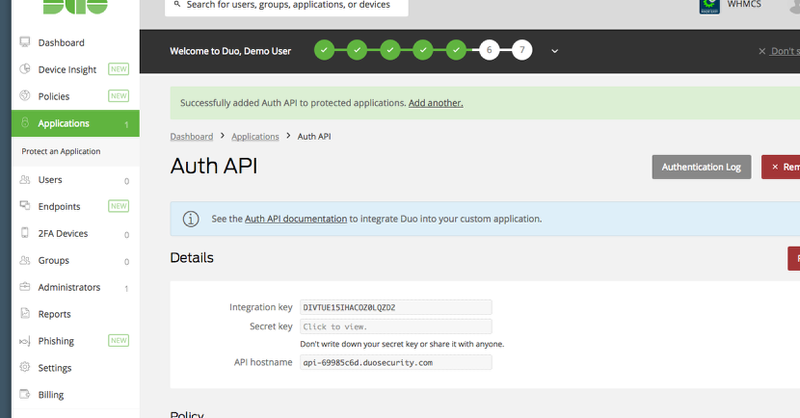 Enter the Integration Key, Secret Key and API Hostname that were provided to you on the Duo Security Auth API page in the previous step. Click Save Changes to complete the process. You have now successfully migrated to using your own Duo Security account. The next time an admin user with Duo Security enabled logs in, they will be prompted to configure their device again with your new account as shown below.